Why Do People Use Epazote? Orally - The oral preparations of Chenopodium ambrosioides (Epazote), like epazote powder, are believed to have anti-helminthic effects. That’s why epazote powder is used against hookworm and roundworm infestation. Likely Unsafe - Epazote powder is likely unsafe because significant toxicity is associated with its regular use. Likely unsafe in Pregnancy and for Breast Feed Females - Pregnancy and breastfeeding are both extremely sensitive conditions. Chenopodium ambrosioides is somewhat toxic for even normal individuals. Therefore, its use is certainly not safe for females who are either having a baby or feeding one. 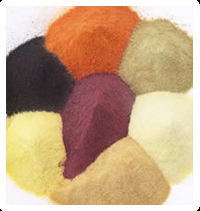 Regarding effectiveness of epazote powder, there is lack of authentic and reliable information available. The ascaridoal constituents may be effective in paralyzing hookworms, roundworms and dwarf tapeworms but ineffective for tapeworms within the intestines. But epazote toxicity precludes its clinical utilization for these helminthic infections. What Are The Side Effects /Adverse Reactions of Epazote? As mentioned before, the side effects of epazote may actually be more significant than its benefits. Oral consumption of epazote powder may lead to a number of adverse effects that may include mucous and skin membrane irritation, headache, vomiting problems, liver and kidney damage, dizziness or vertigo disorders, convulsions, temporary deafness complaints, paralysis, circulatory collapse and in some cases it may cause death. How Epazote Interacts With Other Herbs and Supplements? There is no known interaction between Chenopodium ambrosioides and different supplements & herbs. How Epazote Interacts With Drugs? Photosensitizing Drugs - Interaction rating between epazote powder and photosensitizing drugs is moderate so be cautious of this combination. Concomitant utilization of epazote powder and photosensitizing drugs may increase the potential risks of adverse effects. Chenopodium species are related with photosensitivity. How Epazote Interacts With Foods? There is no known interaction between Chenopodium ambrosioides and various food items. How Epazote Interacts With Lab Tests? There is no known interaction between epazote powder and different lab tests. How Epazote Interacts With Diseases and Conditions? There is no known interaction between various conditions/diseases and Chenopodium ambrosioides. What Should Be the Dose/Administration of Epazote? There is no typical dosage of epazote.